I want to merge pdf files throught Excel vba. I have read the documentation and I can merge the pdf files, so it´s OK.
Const FILE1 As String = "C:\File1.pdf"
Const FILE2 As String = "C:\File2.pdf"
Const MERGED_FILE As String = "C:\Merge.pdf"
MsgBox "The jobs didn´t arrive"
I have seen this happen before and I think you can work around it by only initializing the queue once and releasing the COM object after you have finished merging all files. 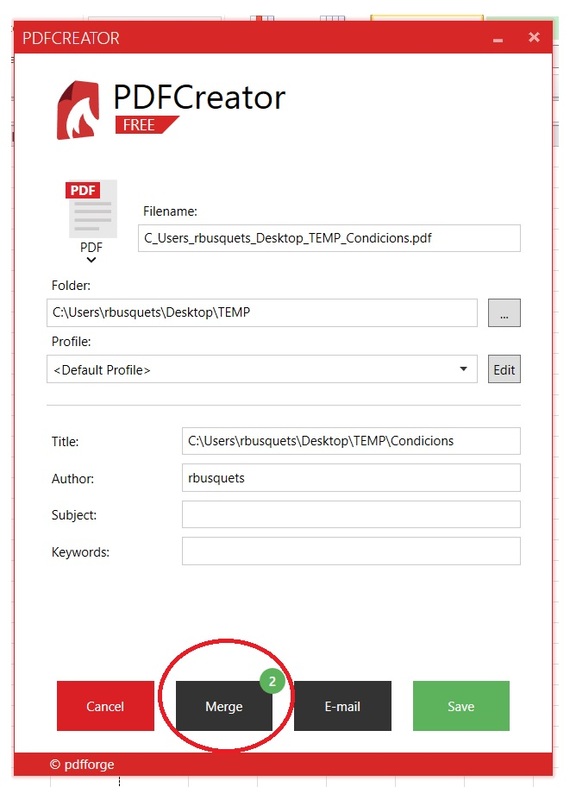 We will have a closer look at this for the next PDFCreator update. Can I try something more before the new version?